Instructions: Mount pages F12 and F13 on heavy paper. Cut out the bookmarks, fold them along the broken lines, and glue the backs together. Punch a hole in the top of each bookmark, and loop-tie several narrow strips of ribbon about nine inches (23 cm) long through the hole (see illustration). 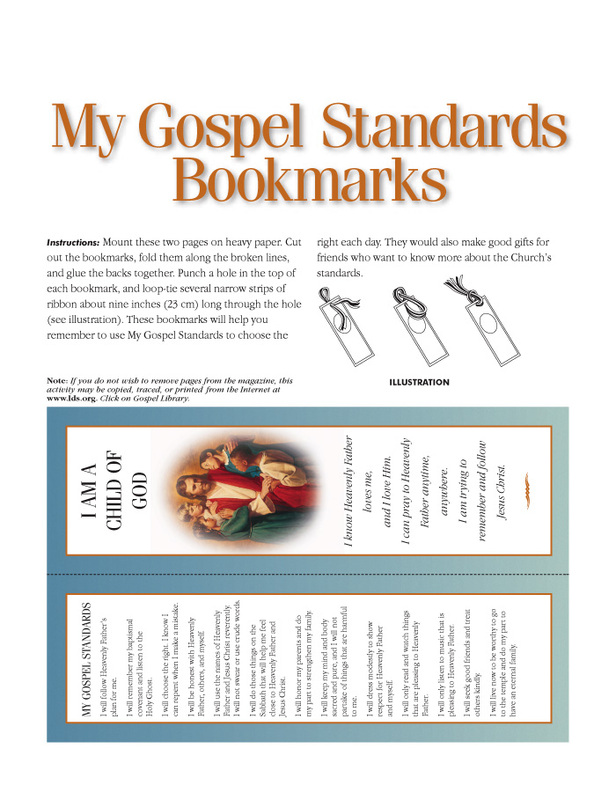 These bookmarks will help you remember to use My Gospel Standards to choose the right each day. 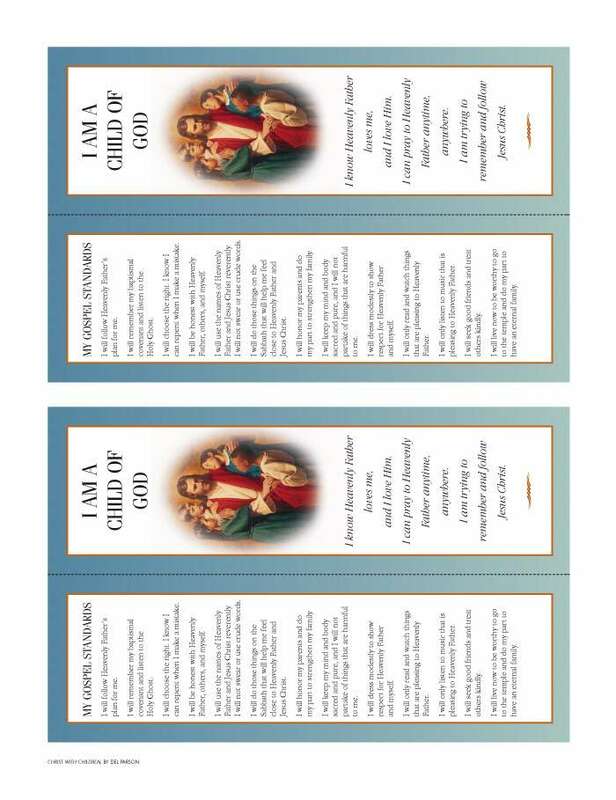 They would also make good gifts for friends who want to know more about the Church’s standards. I know Heavenly Father loves me, and I love Him. I can pray to Heavenly Father anytime, anywhere. I am trying to remember and follow Jesus Christ.